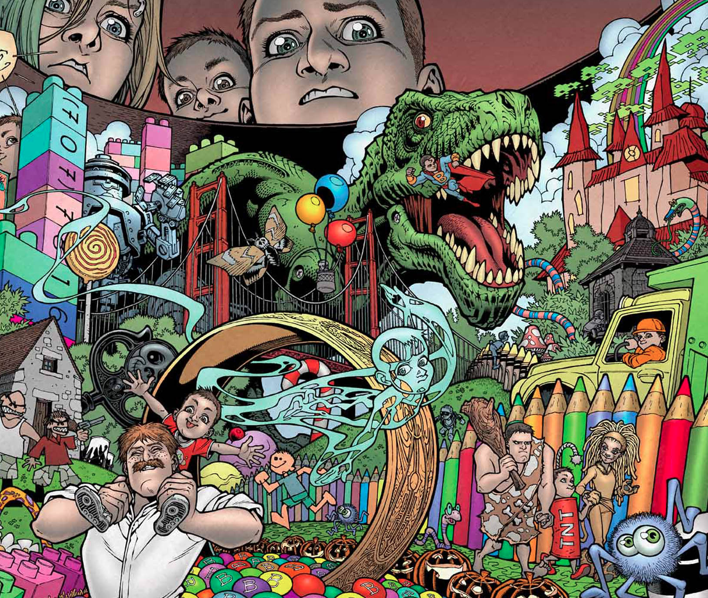 Alternate Media / Around the Interwebs / Yay Consumerism! Hey everybody, we missed you all during our no-power related Hurricane Sandy outages. Thankfully we were all restored in time to enjoy and watch the election coverage in elation and okay, maybe some fear. Good thing all those worries came to naught! FOUR MORE BEERS! FOUR MORE BEERS! 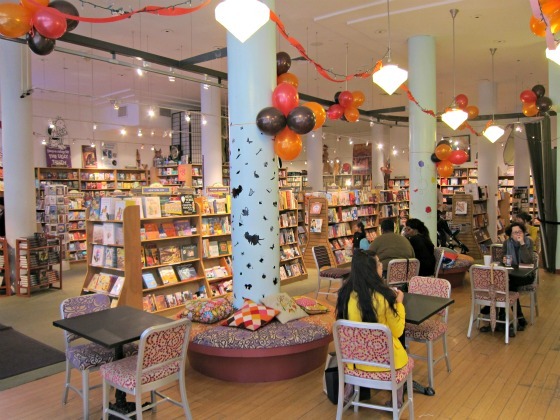 Our favorite NYC children’s and young adult themed independent bookstore Books of Wonder needs a little community help to revitalize their shop. With amazing author events, old and rare books and signed copies on every shelf, we have spent hours wandering their selections and fighting off the desire to buy all the books. ALL THE BOOKS! A small $10 donation will get you a specialized postcard (our favorite of which was drawn by Gregory Maguire and features a doodle of Elphaba) and all the joy of doing a good deed. We admit it, we don’t watch those boring airline safety videos they play on the airplane before take-off. And you probably don’t either you smug jerks! We would however be much more inclined to if all the safety guides included Hobbits, Peter Jackson, elves and a Lord of the Rings reference every single second. This just makes us want to hop on Air New Zealand and go live in the Shire even more than we did before! Especially if Gandalf flies all the planes. Oh Twitter hashtags, how we love some of you. This month is NaNoWriMo (National Novel Writing Month for those of you not in the know) and the hashtag #NaNoWriMoOpeners is still going strong. The goal? Tweet an opening to a possible NaNoWriMo novel. For some reason they’re mostly fanfiction, but that just makes us love them even more. Although maybe not as much as #DrunkNateSilver. 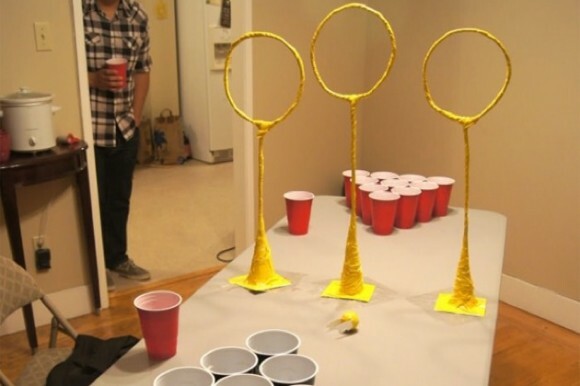 Much more complicated then regular beer pong and with a much higher chance of making you vomit if you use Butterbeer, Quidditch pong combines the nerdery of Quidditch and the drunkenness of beer pong. Team members are allowed to try to knock the ball/quaffle out of the way with their hands/bludgers if it goes through the hoop. If the ball makes it through and lands in a cup, it counts as two. Finally, the Snitch must be used to win the game when one cup is left. We don’t think you’re allowed to catch it in your mouth. Do you ever have this problem? You hurt yourself but all your band-aids are boring and none of them talk about truths universally acknowledged? All the time you’re probably thinking. 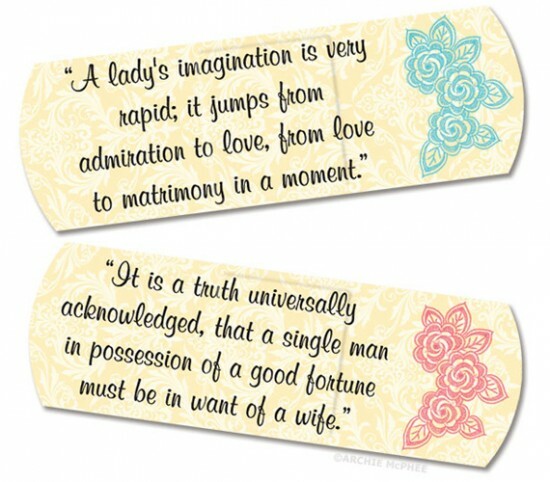 Thankfully, Archie McPhee has stepped in to fix that problem with Jane Austen band-aids (or plasters to use the British phrase) coming in a total of nine designs- seven of which are quotations. Plus there’s a free prize inside! We’re hoping it’s an eligible British bachelor. 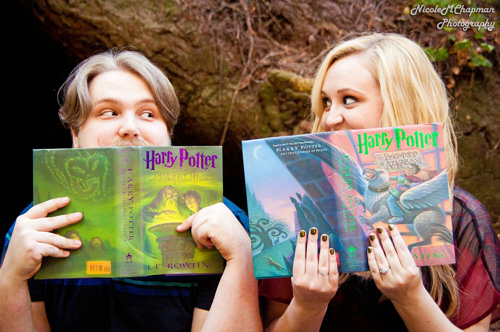 Two weeks ago we gave you a Harry Potter themed wedding, and now we have an engagement photo shoot for you with an equally Harry loving couple. Photos include the pair dueling, crossing wands (not a euphemism) and participating in a variety of other wizardly poses. The engagement ring photographed on the “Unbreakable Vow” title page is a particularly nice touch. All the adorable (and magical) photos can be viewed on the When Geeks Wed blog. 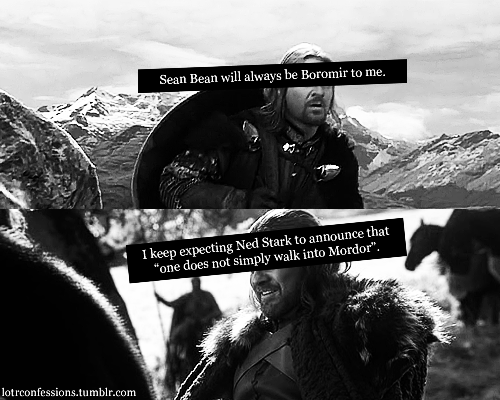 Who would win in a fight, Boromir or Ned Stark? The better question is, who would live longer? In his recent MTV interview, George R. R. Martin hypothesized who would win if his characters were doing battle with their J.R.R. Tolkien counterparts. Out of the 10 imaginary fights, GRRM only picked three of his characters to beat out JRRT’s. 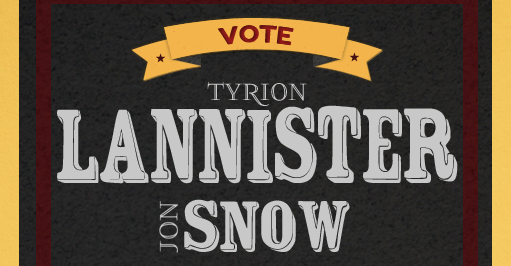 Jaime Lannister could take on Aragorn, Ice would pwn Glamdring and Tyrion has a chance of punching out Frodo. If you don’t want to watch GRRM talk instead of finishing ASoIaF, Hypable breaks it all down for you. The official World War Z movie trailer is finally out and it pretty much looks absolutely nothing like World War Z. We certainly don’t remember zombies swarming like the beetles in The Mummy, nor a focus on a singular character. Ugh. Fans are so confused that there is even an online Facebook petition asking the filmmakers to change the name of the unrecognizable film. Grr. Argh. To cheer yourself up, we recommend the much better zombie rom-com trailer for Warm Bodies starring Nicholas Hoult.